A Place for Mom is proud to offer scholarships to university students interested in the fields of aging and gerontology. As North America’s largest senior living referral service, we know the importance of supporting the training and education of our future senior care leaders. 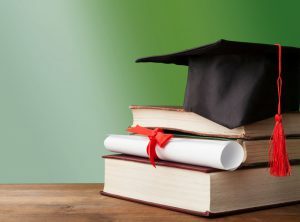 Scholarships will be awarded to a citizen or a Permanent Resident of the United States or Canada (excluding Quebec) who is enrolled and currently taking classes at an accredited college or university in the United States or Canada (excluding Quebec), and will grant selected applicants a $2,000 financial donation for their compelling submissions on life lessons from a senior. We accept submissions year round but in order to be eligible for the next award submissions need to reach A Place for Mom by May 1. The winners will be announced by June 7. Submissions received after May 1 will automatically be considered for future awards. Student may choose to send either an essay or a video submission on the following topic: What are the most important life lessons that you have learned from a grandparent or other senior in your life? How will you use the lessons learned from them in your future career in working with seniors? 400 to 700 words emailed to [email protected]; emails should include student’s name in the subject line. The Video must consist of the Applicant’s interview of a senior or the Applicant’s sharing a story about life lessons from an older person who is/was important in the Applicant’s life. Video must be at least two minutes, but no more than three minutes. Contain artwork not created by the Applicant. Large video files (20MB or larger) should be uploaded to Vimeo or YouTube and the link included in an email to [email protected]. Please note that our email system will not accept .zip files. Complete the student information form. Your completed 400 to 700 word essay OR a two to three minute video. If your video is larger than 20MB please add the video to either YouTube or Vimeo and send that link. Please note that our email system will not accept .zip files. A signed copy of the Scholarship Award Agreement. The easiest way to do this is to print the PDF file, fill it out and scan it back into your computer so that you can include it in your application packet. Alternately, you can print it, fill it out and then take a clear picture of it and email that file along with your application packet. Submissions should have the student’s name as the title/file name and all emails should include the student’s name in the subject line. A Place for Mom may choose to not award or to withdraw the Scholarship Award for any reason.